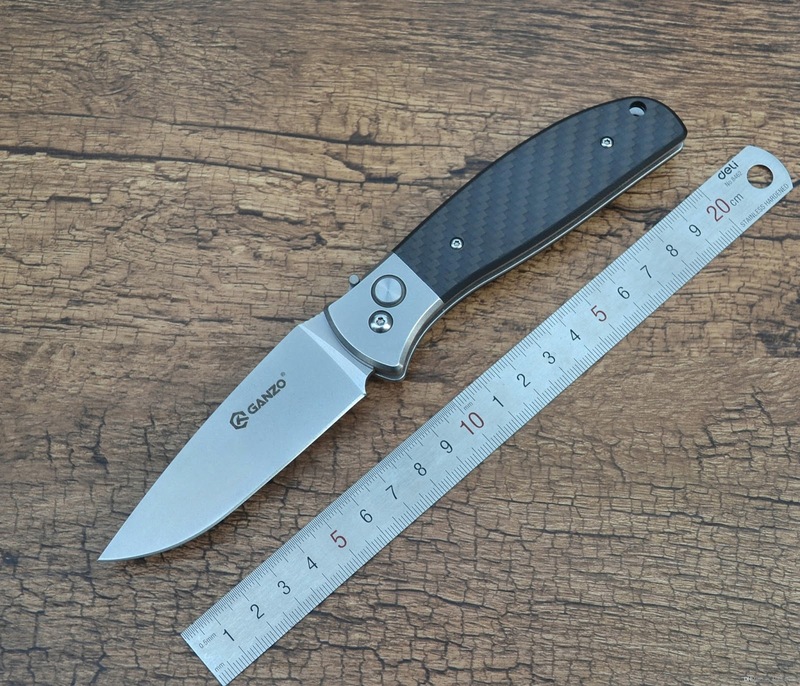 Best Chinese Knives: Ganzo G748 - First automatic Ganzo knife with carbon fiber scales, weight loss cutouts and safety lock! Ganzo G748 - First automatic Ganzo knife with carbon fiber scales, weight loss cutouts and safety lock! Ganzo have made their first auto knife with Carbon Fiber scales - the new G7482 CF. The model also features their new lock safety, which is supposed to prevent unwanted opening and cutouts for weight loss. This one is on its way....anyone have any comments?